Easily create regulation military service ID Tags, formerly known as military dog tags, here at EZR Shop. 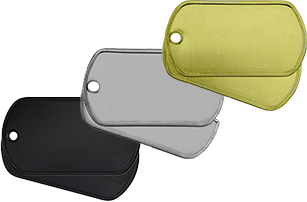 Build your tags with our easy to use military dog tag builder, and we guarantee shipment within 24 business hours. We're dedicated to crafting the highest qualitiy regulation military service ID tags available, offered for every branch of service. 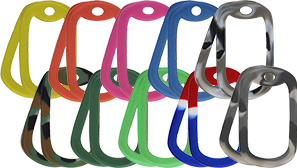 Our dog tags are professionally made and regulation specific, covering the U.S. Army, Navy, Marine Corps, Air Force, and Coast Guard. Looking for a unique military themed gift? 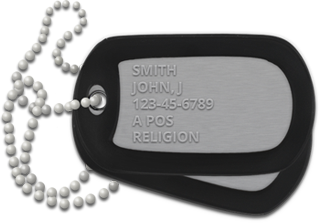 Now you can create custom sets of military service ID tags using our new custom tag option. A personalized set of tags is great gift for friends or family members.